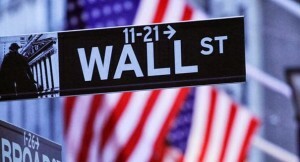 Wall Street Bailouts Are Finally Over, Right? Technically, there have not been any new bailouts in recent months but banks and bankers have pretty short memories. Already, we see some lenders again making risky loans and Fannie Mae and Freddie Mac are once again poised to bear the costs of any loan failures. In 2008, Fannie and Freddie, the then two private mortgage insurance companies, needed $187,500,000,00.00 in taxpayer funds to survive. The federal government put both companies under federal conservatorship, a situation that continues today. A report this week from the Federal Housing Finance Agency says that Fannie Mae and Freddie Mac could need an additional $157 billion in bailouts. That means tax dollars. While the FHFA claims the $157 billion figure is a “worst case” scenario, one only needs to look at the run up to the last crisis when the Fed and Treasury were confidently telling a worried nation that our economy was fine. Obviously it wasn’t. Millions of people lost their jobs and their homes. It took the nation years to dig out from the ensuing economic malaise. Should we be worried? Absolutely! The FHFA figures look at “probable” scenarios in the economy… a drop in housing prices or an uptick in unemployment. They don’t measure fraud, however, and its clear that some mortgage companies and banks are once again writing bad loans. If we learned anything positive from the last mess it is the success whistleblowers can have on fixing problems. Last year whistleblowers received $635 million from the Justice Department and that figure doesn’t include the $150 million paid to three Bank of America whistleblowers in December, after the federal fiscal year had closed. We proudly represent whistleblowers, especially those in the financial services industry. Thus far we have helped our whistleblower clients receive over $100 million in payouts and are actively litigating a $2.4 billion case in Houston against Allied Home Mortgage, one of the worst offenders during the last mortgage crisis. Congress can’t legislate honesty and integrity but whistleblowers can quickly put a stop to unrestrained corporate greed. If you have information about fraud involving federally insured loans (Fannie Mae, Freddie Mac or FHA) or know of fraud affecting an FDIC insured bank, give us a call. You may be entitled to substantial award. Getting an award isn’t as easy as calling a fraud hotline or writing to Congress. It takes a sealed lawsuit in a federal court. With a good law firm and some inside knowledge, awards of up to 30% of whatever the government collects are possible. We want to help you stop fraud and obtain a fair share of the millions in whistleblower award monies. or by telephone at (414) 704-6731. All inquiries are protected by the attorney – client privilege and kept strictly confidential.